Situated 15 KMs from Bhavnagar city, Khodiyar Mandir has 36 pillars which provide support to the mandap at the center. 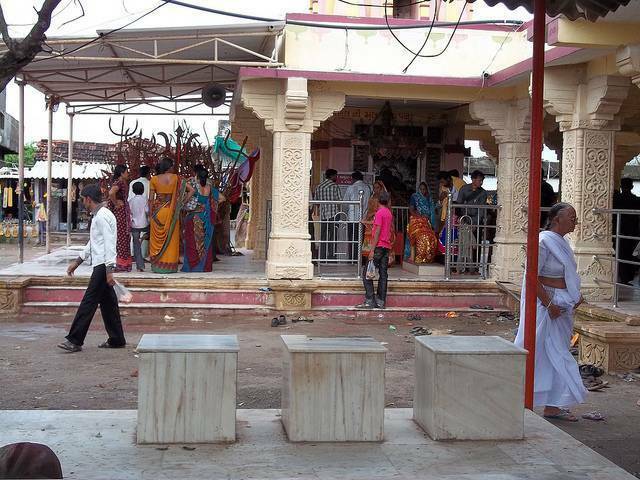 The presiding deity of this temple is their ancestral goddess of Bhavnagar. The very attractive surroundings of the temple consist of a crystal clear lake, few mountains, lush green vegetation and its scenic beauty. Close to its entrance one can see many small shops, tea stalls, bangles, pooja essentials and other beautiful articles being sold at cheap rates. Numerous locals and people from faraway places visit this holy place every year especially during festivities. Enjoy this blissful experience with your loved ones.